Description: Stunning views from this SW corner one bedroom, a den and open balcony with extra windows to maximize enjoyment of the views in Firenze 2. This fabulous open floor plan features gourmet kitchen with granite countertops and S/S appliances, electric fireplace, insuite laundry, parking and much more. Building with excellent amenities including indoor lap pool, hot tub and gym. 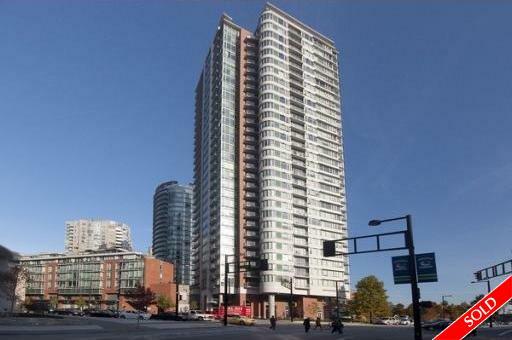 Perfect location, steps away from skytrain station, Tinseltown, TandT market, Costco, BC and GM Place and seawall.